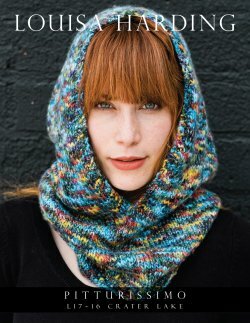 Check out some of the garments & designs found in Pitturissimo - Crater Lake Hooded Cowl. Measurements Length (including hood): 20 1⁄2in/52cm. Circumference: 25in/63.5cm.